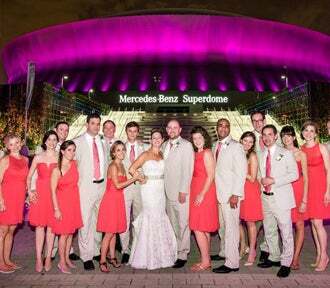 When it comes to sporting events, the Mercedes-Benz Superdome has an unmatched legacy among stadiums in the history of modern athletics. For nearly four decades, the Superdome has been home to some of the defining moments in sports. Under this famous domed roof is where Muhammad Ali avenged his loss to Leon Spinks in 1978 and became the first boxer to become the Heavyweight Champion of the World for a third time. It’s where Michael Jordan wrote the first chapter of his legendary career by sinking a jumper to lift North Carolina to the national title in 1982. And the Superdome has been the home of seven NFL Super Bowls, five NCAA Men’s Basketball Final Fours and three NCAA BCS National Championships. It is the ultimate stage, where champions have been made, legends have been launched and rivalries have been resolved. The Superdome can hold any size sporting event, and help ensure its success. Whether you are anticipating an attendance of 100 fans or a crowd of 73,000, the Superdome’s versatility and ability to adapt to any event’s specifications has defined the experiences within its walls. For more information, please call (504) 587–3663 / (800) 756-7074 or email [email protected].